go to board and select the type of esp8266 you are using. and select the correct COM port to run the program on your esp8266 device. upload the program and see the results. 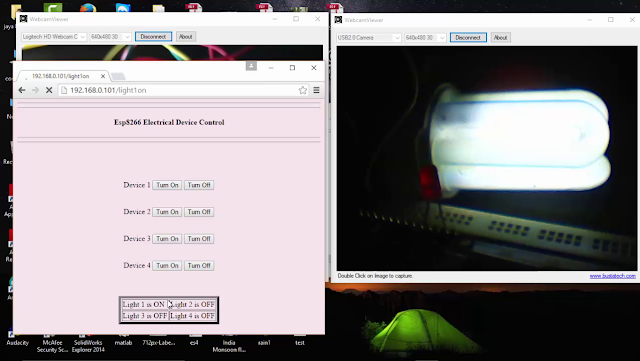 Now we will see How to "Turn On and Turn Off" an LED that has connected to the Esp8266, the esp8266 has programmed from Arduino IDE to control the LED. 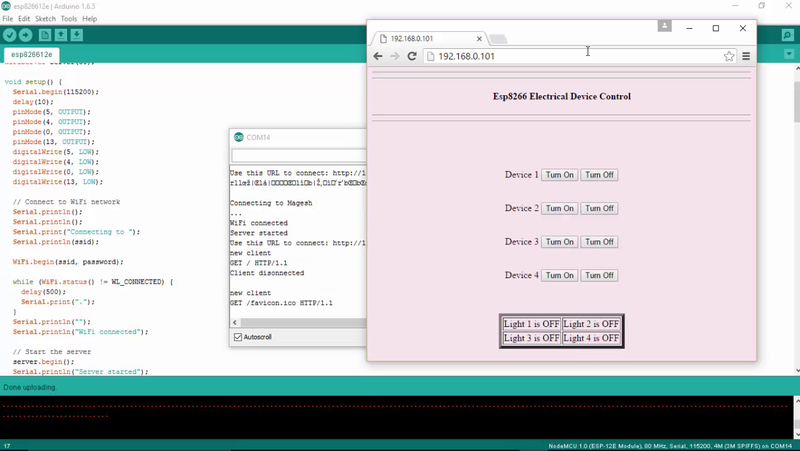 We will connect the Esp8266 to the Wi-Fi router using SSID and password of our Home network Wifi , where the esp8266 connect to our wifi and create a webserver, which can be accessed by looking through the serial Monitor of the Arduino window or you can also log into your Wifi router and check for the list of clients connected to your Wi-Fi router. For the above video I have used NodeMcu, you can use any type of Esp8266 to make this thing work in your web browser. look for the mapping of pins in with your Esp8266 vendor, if the program not working properly for you , the fault will be with the pin mapping functionalities, Here I used the D7 pin which mapped to 13th pin when program from the Arduino IDE. presented with an serial monitor that look exactly to the picture below. 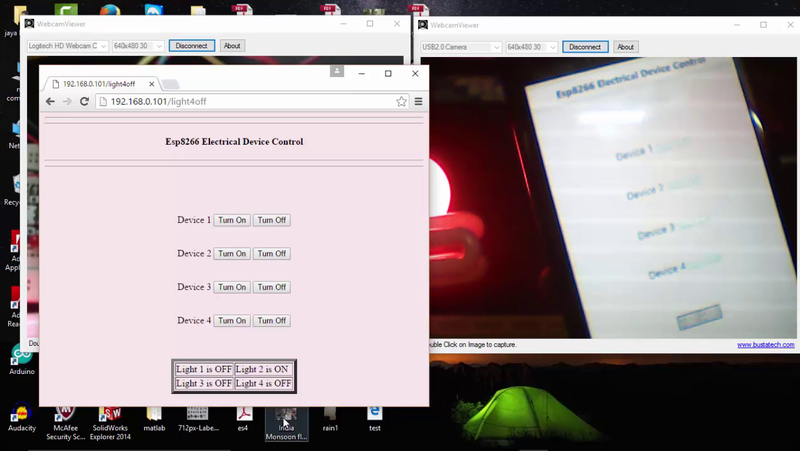 Now we will see how to control electrical devices like fan, light, etc., to turn on and off using esp8266 from a web browser. if you are bored with a dedicated device controller like an app or an remote which will be available for only one particular device but using this method all the device which support web browsing will be act as a controller for us. Make sure all the devices are connected to the same router, this example doesn't include a port forwarding function which will not allow us to control the device from outside the home network. Components that you need for completing this project are very simple, you need to have an esp8266 wifi module and a relay, make sure you buying a 5v relay which very easy to use with esp chips doesn't require external supply too. we can make use of the Vin pin of the nodemcu or if you are using a generic chip, you need to supply an external 5v to the relay. For this example project I have used only 2 relay circuit, but the actual program wrote for connecting four relay module. Copy the below arduino code and paste into your Arduino IDE and upload the program to your nodemcu or any other esp devices that you are using, make sure to choose the correct port and device name from the board. also don't forget to change the SSID and password to your Wi-fi settings. This program for the esp8266 wrote to return the status of the device , which will in turn notify us with the device state in the browser which will also make the user to know which device has currently turned on or off. Copy the above code and complete the process. Now you will know how to use Ds18b20 Temperature data to thingspeak.com, you can follow above fritzing circuit diagram to control the Ds18b20 temperature sensor, This sensor follows one wire protocol which means you can connect many sensors as you want to the single pin and access temperature data calling the sensor by address. There is no much work to get work with this sensor, as there are plenty of example library that already available in the internet which anyone can make use and get started to work with this sensor. 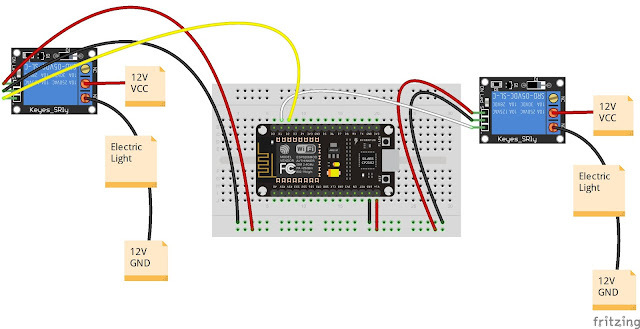 Test the below code to know check whether you can get reading from the temperature sensor with ESP8266 or Nodemcu. Servo motors are great devices that can turn to a specified position. Usually, they have a servo arm that can turn 180 degrees. Using the Arduino, we can tell a servo to go to a specified position and it will go there. As simple as that! Here we will see how to connect a servo motor and then how to turn it to different positions. The first motor I ever connected to an Arduino, seven years ago, was a Servo motor. Nostalgic moment over, back to work! There are few big names in the servo motor world. Hitec and Futaba are the leading RC servo manufacturers. Good places to buy them are Servocity, Sparkfun, and Hobbyking. A servo motor has everything built in: a motor, a feedback circuit, and most important, a motor driver. It just needs one power line, one ground, and one control pin. Check the image for a view of the servo connected to the Arduino. The following code will turn a servo motor to 0 degrees, wait 1 second, then turn it to 90, wait one more second, turn it to 180, and then go back. If the servo motor is connected on another digital pin, simply change the value of servoPin to the value of the digital pin that has been used. Remember that using the Servo library automatically disables PWM functionality on PWM pins 9 and 10 on the Arduino UNO and similar boards. The code simply declares the servo object and then initializes the servo by using the servo.attach() function. We shouldn't forget to include the servo library. In the loop(), we set the servo to 0 degrees, wait, then set it to 90, and later to 180 degrees. Arduino has a built-in function servo.write(degrees) that simplifies the control of servos. However, not all servos respect the same timings for all positions. Usually, 1 millisecond means 0 degrees, 1.5 milliseconds mean 90 degrees, and, of course, 2 milliseconds mean 180 degrees. Some servos have smaller or larger ranges. For better control, we can use the servo.writeMicroseconds(us) function, which takes the exact number of microseconds as a parameter. Remember, 1 millisecond equals 1,000 microseconds. Connection-wise, the grounds from the servos go to GND on the Arduino, the servo power to 5V or VIN (depending on the power input), and in the end, each signal line has to be connected to a different digital pin. Contrary to popular belief, servos don't need to be controlled by PWM pins—any digital pin will work. There is a special breed of servos labelled as continuous rotation servos. While a normal servo goes to a specific position depending on the input signal, a continuous rotation servo either rotates clockwise or counter-clockwise at a speed proportional to the signal. For example, the Servo1.write(0) function will make the servomotor spin counter-clockwise at full speed. The Servo1.write(90) function will stop the motor and Servo1.write(180) will turn the motor clockwise at full speed. There are multiple uses for such servos; however, they are really slow. If you are building a microwave and need a motor to turn the food, this is your choice. But be careful, microwaves are dangerous! That's All The wiring you need... Easy, no? Next Step, load the Software library and sketches. You need to download another Library to get the Arduino to talk with the SR04 sensor. The sensor I got didn't come with any documentation, so I Googled around until I found a library that works. Download the library unzip it, and install it in the Arduino IDE. 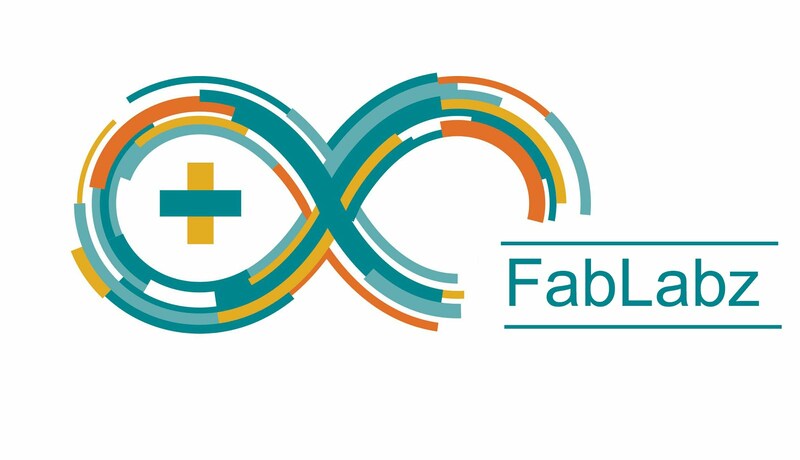 Place it inside your Arduino libraries folder , and restart the Arduino IDE. For convenience, I included the file in the files section below. You should now be able to see the library and examples in select File > Examples > NewPing > NewPingexample sketch. load the sketch to your Arduino. If you were successful at installing the libraries, and loading the NewPingexample sketch, Compile the sketch by clicking on the verify button and make sure there are no errors. It's time to connect your Arduino to your PC using the USB cable. Click on the upload button to upload the sketch to the Arduino. Once uploaded to the Arduino, open the serial monitor, and you should see the distance data stream coming from the sensor. It is a simple project and also very dangerous as we are going to deal with high voltage 220v . Do not attempt if you are a amateur in dealing with high voltage. I'll answer few basic questions, which hits when you are novice! Why to use relay for controlling AC light? AC is alternating current 220v (india) which powers the ac lights. Arduino cannot control high volt n amp, but a relay can do this job, which is the sole design of it. so we are using relay as switch to control high power devices. What is NO NC and COM in relay? I have explained NO NC COM elaborately in step 3, refer it -if you feel it bit confusing. I'm going to use NO Normally Open Connection. COM - Common connection--> it is the center terminal, It is hot as power to the load is connected at this terminal. NO Normally open ---> It acts like a switch,since it is open - there will be no contact between COM and NO, When we trigger the relay module, it connects to COM by the electromagnet inside the relay and supply to the load is provided,which powers up the light.Thus the circuit is closed until we trigger the state to low in relay. NC Normally closed---->It is always in contact with COM, even when relay is not powered.when we trigger the relay it opens the circuit, so the connection is lost. it behaves just opposite to NO. im using NO connection,but here in this type of relay "HIGH" state in code turns off the relay(opens the circuit). "LOW" state in code turns on the relay. We are using Normally open connection in relay. so that we can trigger on and off the light . Gnd or - or other terminal in light is connected directly. Note: You can attach various sensors to Control your light. DTH11 includes both Humidity and Temperature sensor. Please download the DHT library from the below link. As shown in the above screen shot please browse the ZIP file and include the library after including the library. 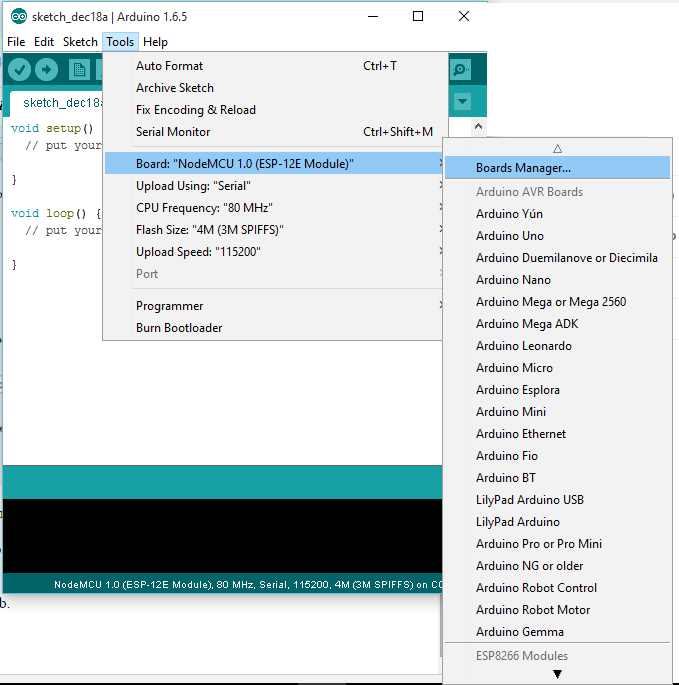 Close the Arduino IDE and open it again then you will find the library included. // if you require to change the pin number, Edit the pin with your arduino pin. Most PIR modules have a 3-pin connection at the side or bottom. The pinout may vary between modules so triple-check the pinout! It's often silkscreened on right next to the connection (at least, ours is!) One pin will be ground, another will be signal and the final one will be power. Power is usually 3-5VDC input but may be as high as 12V. Sometimes larger modules don't have direct output and instead just operate a relay in which case there is ground, power and the two switch connections. The output of some relays may be 'open collector' - that means it requires a pullup resistor. If you're not getting a variable output be sure to try attaching a 10K pullup between the signal and power pins. For our PIR's the red cable is + voltage power, black cable is - ground power and yellow is the signal out. Just make sure you plug the cable in as shown above! If you get it backwards you won't damage the PIR but it won't work. Connecting PIR sensors to a microcontroller is really simple. The PIR acts as a digital output so all you need to do is listen for the pin to flip high (detected) or low (not detected).Its likely that you'll want reriggering, so be sure to put the jumper in the H position! Power the PIR with 5V and connect ground to ground. Then connect the output to a digital pin. In this example we'll use pin 2. Don't forget that there are some times when you don't need a microcontroller. A PIR sensor can be connected to a relay (perhaps with a transistor buffer) without a micro! When you hear the word Smart Garden, one of the things that pop up to your mind is the automatic measurement of the moisture content of the soil. If you're building a Smart Garden that waters plants automatically and give you the readings of the wetness of the soil, then you will definitely need a Soil Moisture Sensor. In this Instructable, I'll show you how to interface the Soil Moisture Sensor to an Arduino Uno and read the values on a Serial Monitor. A typical Soil Moisture Sensor consist of two components. A two legged Lead, that goes into the soil or anywhere else where water content has to be measured. This has two header pins which connect to an Amplifier/ A-D circuit which is in turn connected to the Arduino. The Amplifier has a Vin, Gnd, Analog and Digital Data Pins. This means that you can get the values in both Analog and Digital forms. Most soil moisture sensors are designed to estimate soil volumetric water content based on the dielectric constant (soil bulk permittivity) of the soil. The dielectric constant can be thought of as the soil's ability to transmit electricity. The dielectric constant of soil increases as the water content of the soil increases. This response is due to the fact that the dielectric constant of water is much larger than the other soil components, including air. Thus, measurement of the dielectric constant gives a predictable estimation of water content. Connect the two pins from the Sensor to the two pins on the Amplifier circuit via hook up wires. Connect the Vcc from the Amplifier to the 3.3V pin on the Arduino and the Gnd pin to the Gnd pin on the Arduino. Now connect the Analog Data Pin to the A0 pin on the Arduino (Since I'm interested in Analog Data). For simply reading the values I'll be using the AnalogRead sketch from the Examples menu. You can modify the code as per your requirements. you dip the sensor leads in water and when dry. action bases on these values.